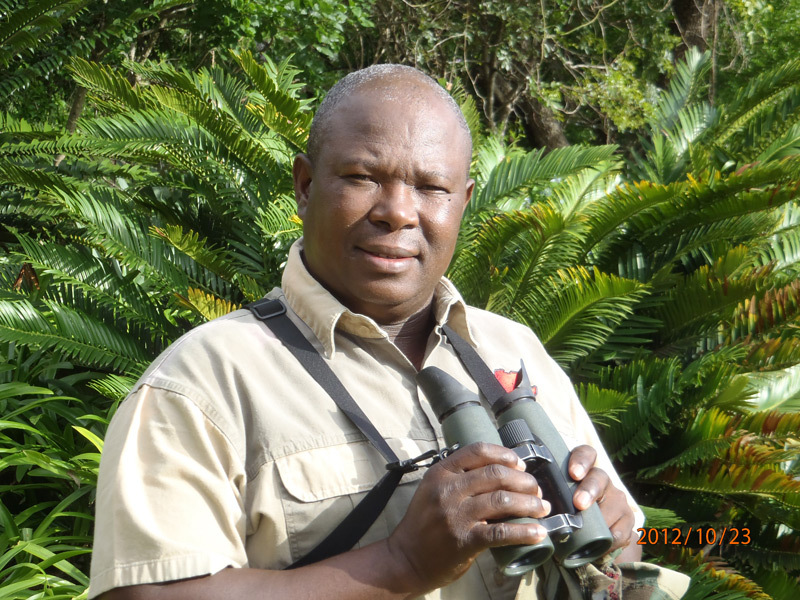 Sam started as a tracker in Thaba Tholo in the Limpopo Province. But Sam’s dream was to be a Professional Hunter. Having completed his Professional Hunters License, he approached Mark looking for an opportunity to follow his dream. Knowing Sam, Mark eagerly agreed and in 2000 Sam moved to Zululand and became a part of Mark Dedekind Safaris. In 2005, in recognition of his hard work & dedication, Mark offered Sam a share in MDS, which he gladly accepted. Sam has a sharp sense of humour and is very passionate about hunting. He always strives to find the best trophies for his clients. Sam only hunts in Zululand and he’s the specialist in this area. Sam loves hunting Buffalo but his real passion is hunting the difficult Zululand species like Bushbuck, Mountain Reedbuck & Red Duiker. Furthermore Sam is responsible for the handling of clients’ trophies and the organisation of the trackers and skinners.